The growing era is the manifestation of new technological benefits. We can’t take a misgiving over the scientific advances and technological metamorphism for aegis. ICTs are likely to remains vital drives of globalisation to occur. For every country to conquer the world should gets attuned with the ICT as backbone. ICT not only enables us to integrate ethically appropriate pedagogy of teaching learning process but has also dwelled upon the inscrutable of globalisation. They have been conducive to the creations, distinctions and exploitations manner to cater the competition, advancement and improvement in the quality of life. Irrespective of the government’s political ilk and orientations ICT propounded the policy framework for the globalisation at the great extent fulfilled the synergy between science and technology. The common questions gets quirk like what are ICTs? It is that ensembles of handling data in the form of facts, events, activities and transaction, documentation of records of anecdotal, cumulative or factual becomes a snipers of this tech by eradicating the stumbling blocks of cognitive brain for memory its very easy to stored them up. For instances, calculators, PC, DVD, pen drive, Microchip, TV projector, scanner etc on the contrary transmission modes are by internet, teleconferencing, video conferencing, mobiles whereas for exchanging the information email, cellphones, skype. ICTs have truly distorted the approach of understanding and exchanging means as well. No wonder the ICTs has most significant impact in the field of information, common activity easy access to information. Various categorised domains of ICTs are information technology, computer technologies, transport technology, industrial technologies and health technology. 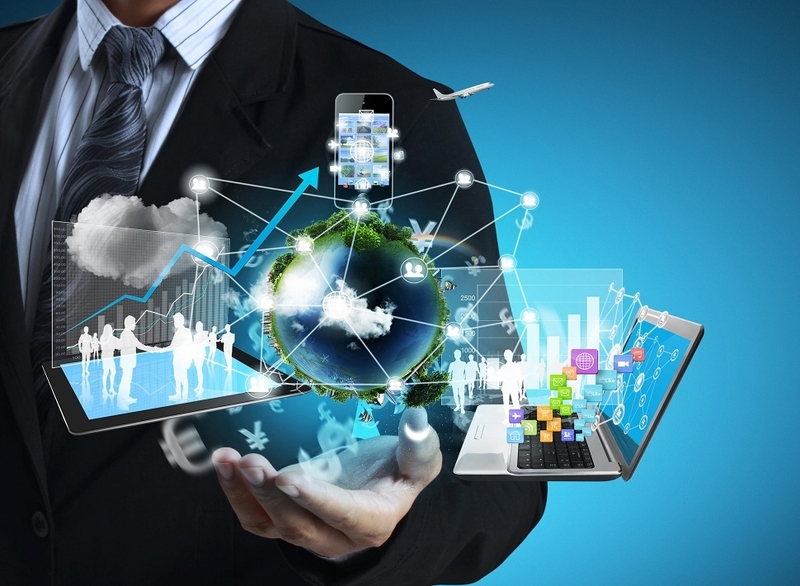 World wide web based technology is the very appreciable and easy to access connections to various essential documents by the means of internet, global media networks, TV teleconfercing, Skype, webcams , e-mail, DVDs, flesh memory network, services, software, satellite. ICT in education arena: ICTs became the most core aspects for imparting common teaching pedagogy teachers are taught. Information and communication technology has geared up many avenues and sparks in order to support, enhance and optimise the delivery of information whether it would be the classroom or mass learning. The paradigm shift of ICTs can be conferred to curriculum designing, selection of audiovisual aids and feedback pattern. Telecommunication facilitates connections from auxiliary functions till pro prophylaxis domains. It has been proved and universally accepted that the student who are much exposed to ICTs have better knowledge, flairs of exploring, presentation skills and innovative capabilities lodging in them as compared to their counterparts. M-learning, e-learning module concepts are the rising trends where education has outgrown the physical constrains of classroom and acquired mobility in distance education. Few highlighted are: l Online digital repositories l Flipped classroom pattern l Tablets, computer, OHP, LCD projector can propagates the information to an enormous number of students by a click of a button. However, that is not only bounded with the taught end but with the institution upgadation also. It enhances the quality and efficiency services of NAAC, NBA, AICTE assessment and accreditation for long run. It imply the high quality online interaction, conduct web seminars, generates the projects assessment by keeping all the constrains at bay. ICT in Health: It also empowers the lifespan of humanity with the surge of techno and medical services. Integrated concepts of clinical and hospital mal-administration have banished the path of day to day life health problems. It has added countless revenues also. If we talk about the traditional clinical research to the modern synthetic biology based modules of learning, screening, diagnosis, treatments methods then virtually ICTs has no match in putting checks over the mortality rate of humans. Since the inducement of ICTs in health the natality( birth) rate has increased enormously. Consider the case of rural India where premature babies used to die due to lack of medical facilities, transportation etc now it has logically replaced telemedicine concepts. With the establishments of neonatal intensive care units here the doctors are rendering the phototherapy, UV radiation therapy, medicos to various serious and incurable ailments of newborn preterm babies which indeed is a big boon to scientific globalisation. Tele-medicine, tele-diagnosis are the benchmarked concepts of radiology, cardiology, pathology segments which not is only reinventing to its all in position, but also open the facets of human brain to realise the difference between “I” & global medical services . ICTs safeguard the sanctity of patient experiences and builds up the sustainability of health issues. Stem cell preservation of newborn is a novel concept where much potential aspects are involved. Telemedicine are the effective electronically, communication technology to exchange the patient’s information and provision of health facility is imparted. ICT in Research: Research involves the 3 main segments of process; effectiveness, efficiency and collaborativeness. It enables to explore new innovative research opportunities without them discoveries would be impossible. Without this it cannot be in use if only standard desktop or general IT is used. In regards of sampling analysis, hypothesis formulation, data processing, citation of reviews in every sphere we need to switch on to ICT as global acts. ICT in Industry: It also employs various aspects in modifying industrial venture at global extent.